Call me old fashioned, but I like my drinks wet and my bars dry. So when my friend told me she'd be having her 30th birthday celebrations at a swim-up bar I was googling how long you needed to leave a chicken breast out before you'd get salmonella from eating it. Swim-up bars are like swimming under a waterfall. Both seem like a relaxing, jolly good time but anyone who has had a waterfall pelting down on their head, neck straining to stay upright under the pressure, knows that the reality is very different to a Peter Andre film clip. I've only had one swim-up bar experience when I was in Bali and found it stressful, confusing and somewhat disturbing. Which, to be fair, is a standard night out for me but I vowed not to rush back into another gimmicky experience. I'm non-confrontational, so instead of telling my friend to her face I think a swim up bar 30th is the worst idea I've heard since Smiths stopped making tomato-flavoured chips, I'm going to outline the perils of a swim-up bar and shove the article under her door. A recent scientific study from the US has revealed that only .012 per cent of the world's population looks good in swim wear. The rest of us look like a piece of roast pork shoved into one of those string nets they wrap around them to stop them falling apart during cooking. The .012 per cent who do look good in swimmers are busy posing for Sports Illustrated covers or have the Victoria's Secret show, so they're not going to be coming to your 30th. Do us all a favour and reconsider the venue so we can wear Spanx because we don't have the metabolism of a 20-year-old anymore. Anyone who says they have never peed in a pool is taking the piss. We've all peed in a pool. Probably more than once … or twice. Some of us may not have done it since we were three; some of us have had more recent indiscretions. I'm not about to reveal which category I fall into but you can probably guess. Once you start mixing alcohol with crippling body image issues you'll find nobody is that keen to leave the pool to go and relieve themselves. We'll all be swimming in a disgusting, urine-filled cess pit and I don't think I have to point out the implications that could have for ear and eye infections. Of course if anyone is suffering from Athlete's Foot it will do their little trotters the world of good. 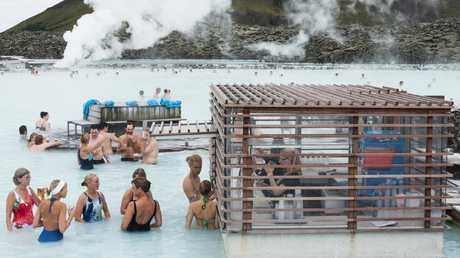 It’s not just afflicting the tropics; swimmers in Iceland’s Blue Lagoon are fans of drinking at a swim up bar. Picture: iStock. You've kindly offered to pop a small bar tab on to kick the night off but then it's a cash bar, which is totally fine. Except where are we going to put our wallets? Start a bar tab and fix it up at the end you say. No Siree, Bob. The reason I use cash when I go out is so I know that once my wallet is empty I need to stop ordering Jager Bombs and go home. I can't afford to be shouting an entire pool Jager Bombs but that's exactly what I'll do if I'm drunk. The first time I used pay pass for an entire evening I was certain I'd been robbed. However, CCTV of The Beat revealed that it was in fact me, not a robber, tapping willy nilly spending my rent money. "Put 'em on the tab, Smithy! ", I'll yell. I have a very particular method for working out when I need to stop drinking or hit the glasses of water. One is an empty wallet, the other is my dancing. I allow myself one trip on the dancefloor before I pack it in and if I start trying to swing around poles, microphone stands or pot plants my friends know to immediately send me on my merry way. You can't get an accurate reading of how drunk you are in a swim-up bar because there is no dancing and no walking. 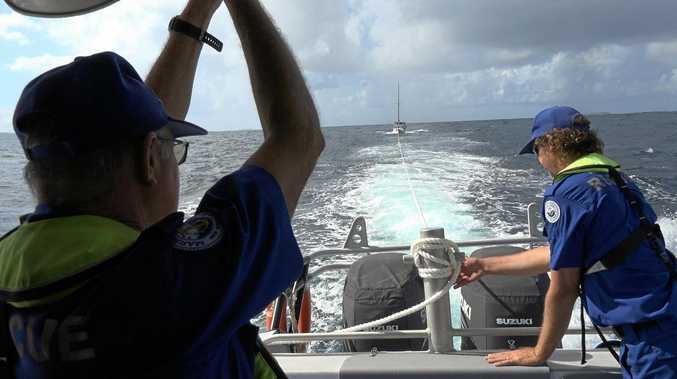 You're completely weightless when you're in the water, which certainly has it benefits, but trying to drag yourself out after 46 vodkas is like trying to lug around a bag of cement. With limited upper body strength I'm usually forced to slump up on the side and the kind of roll out of a pool rather than pull myself up like a James Bond girl. It's a very dangerous situation and I'd hate to see someone* (*me) sue you for negligence. Speaking of danger - imagine the field day the pervy gropers would have! They'd be clutching at pieces of pork like it was going out of fashion. Look, it's your special day, and if you go forth and have your 30th at a swim-up bar like a psychopath I'll be chugging back Jaeger Bombs with the best of them. But I'll whinge every step/stroke of the way. Jill Poulsen is a columnist for The Courier-Mail.